Choosing Best Holes causes as much debate as the selection of Best Courses. People have their favourites for any number of reasons. Of the different hole types (par 3, 4, 5), par threes are the easiest to identify because they require that single tee shot of brilliance where you can see the hole, its surroundings and its demands in its entirety (Lahinch’s ‘Dell’ excepted). For me, at least, that makes the par three consistently the most enticing hole on the course. You gotta love the Irish male stereotype - a beer-swilling machine renowned/ loved/ criticised (delete as appropriate) the world over. Then again, we don't exactly help ourselves, do we! Certainly not when one of the 'Deal' sites comes out with an offer that invites golfers to play a golf simulator with the beers thrown in. Get together with three mates, play one of the top 52 courses in the world, with two practice sessions, and there's a beer in it for you too. All for €29 (valued at €68) each. The Metro Golf Indoor Golf Lounge & Bar is at the SPORTSCO Leisure Centre on South Lotts Road - next to the Aviva Stadium. I'm not knocking the offer - it sounds like a laugh - but if there's no Guinness, there'll be war. It's doing the rounds on Twitter (#SPOTY) and other Social Media sites, but how exactly did Team GB win the 'Team of the Year' at the BBC's Sports Personality of the Year last night. I turned on to watch the news only to find David Beckham walking on stage to do a passing impression of C-3PO. Then up pops Coe to receive his Lifetime Achievement Award - and made a speech that lasted a lifetime. I half expected him to say: "There's no I in team... [dramatic pause] ...but there is in Sebastian." But weren't those shorts they used to wear terrible? More like nappies than shorts. Yes, I know, it should be the 12 Days of Christmas… but 12 days simply doesn’t give you enough time when it comes to golf. So let’s look at a bigger canvas and call it the 12 Months of 2013. Here’s my challenge to you – or a list of suggestions if you prefer – set yourself a golfing goal for each month, write it down on a chart and make those your targets for next year. Tick them off as each month passes and you’ll have something to look back on with a sense of achievement, come December 31, 2013. Some highly impressive news spilling out of New Delhi last night, where the annual World Travel Awards were held. Our own beloved ‎Adare Manor Hotel and Golf Resort collected a World Travel Award - this is the first time ever that an Irish property has achieved this at a global level. 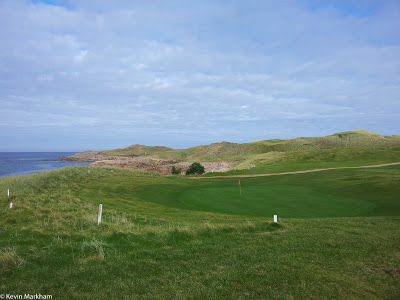 Following the publication of Golf Digest Ireland's Top 100 courses, 2013, I was asked (on Boards.ie) about my top ten favourite courses. I started reeling them off in my head, and passed 10 far too quickly. I wrote them down and ended up with 18 - which seemed very fitting. A nine hole course it may be, but try telling that to the 3rd, 6th, 7th and 9th holes, which may be among the best and/or wildest you’ll ever play. The other holes aren’t exactly shabby either. There’s enough brilliance here for about three golf courses, and the beauty of this course is that it is so natural, so unexpected and so exciting. And that’s before you mention the location, tucked away on Donegal’s rugged coastline. 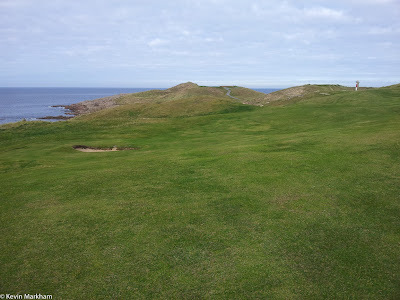 There’s nothing fancy to the course: the greens simply come at the end of fairways – which makes them utterly lethal, I might add – and the design conforms only to the shape of the landscape that created it. That is, perhaps, its greatest asset. It’s a long drive to reach the club and almost out of nowhere there’s an explosion of dunes. You drive across the 1st hole to reach the clubhouse and you instantly get an idea of the golf experience that awaits. No fuss, no pomp – just a completely natural and mesmerising flow. 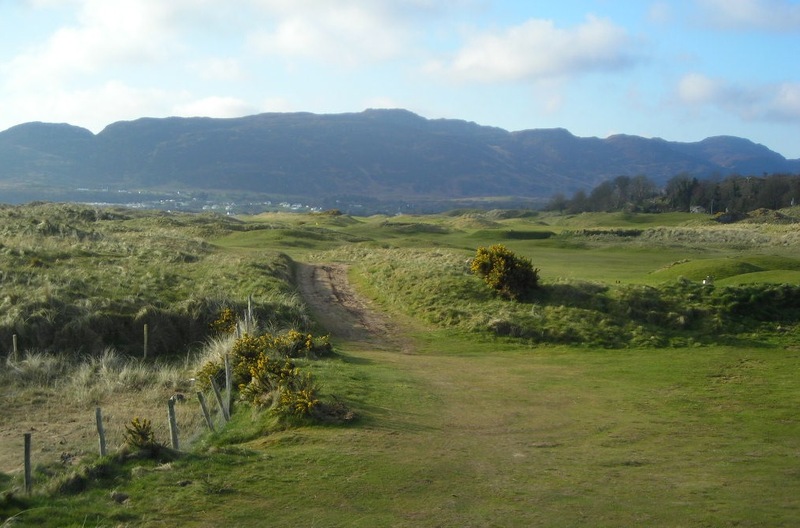 Hidden humps and hollows make a mockery of traditional shot-making skills, and you’ll be thankful it’s only nine holes so that you’ll have some idea of what you’re facing on the second loop. Holes 4, 7 and 9 will utterly befuddle you with their flag-hiding ridges short of the green, while some fairways twist so dramatically your trolley is likely to tilt over. And as for knowing where to hit… good luck… take the drive off the 1st as ample warning. 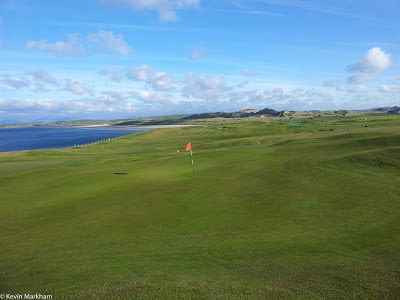 As much as you will love this course, there are certain moments that will live long in the memory: walking over the crest on the 3rd to reveal Gweedore across the water and the green below; climbing onto the dunes beside both the 3rd and 7th tees to enjoy the 360 degree views of islands, ocean and Donegal’s mountains. This is enthralling golf from start to finish. No shot disappoints and you will be challenged every step of the way. 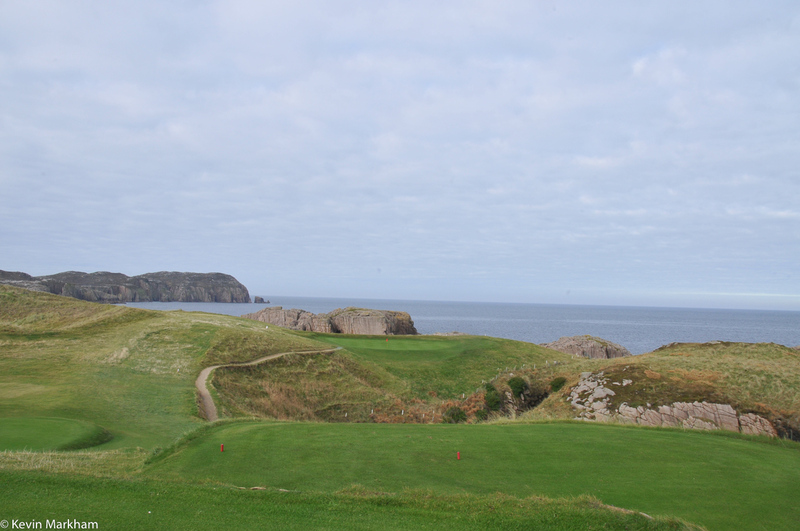 And I haven’t even mentioned the 6th hole – quite possibly one of the best, most beautiful and most terrifying par threes in the world. 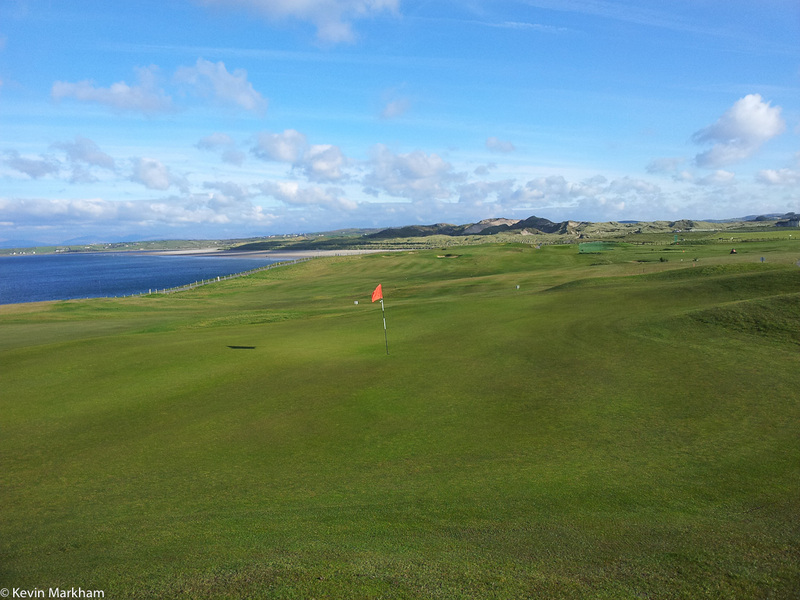 It is little wonder that Cruit Island is often discussed as one of the world's most spectacular nine hole golf courses. All of them… but it has to be 6, hitting over a chasm of sea and rocks, with ocean and islands beyond and absolutely no bailout area whatsoever. If not Hole 6, then 5 for being so blind and such a sharp dogleg, or 7 for its tough carry from the tee and then blind shot to a precarious green. Green fees at Cruit Island are a mere €25, and while the course is a long way from anywhere this is a beautiful part of the world. 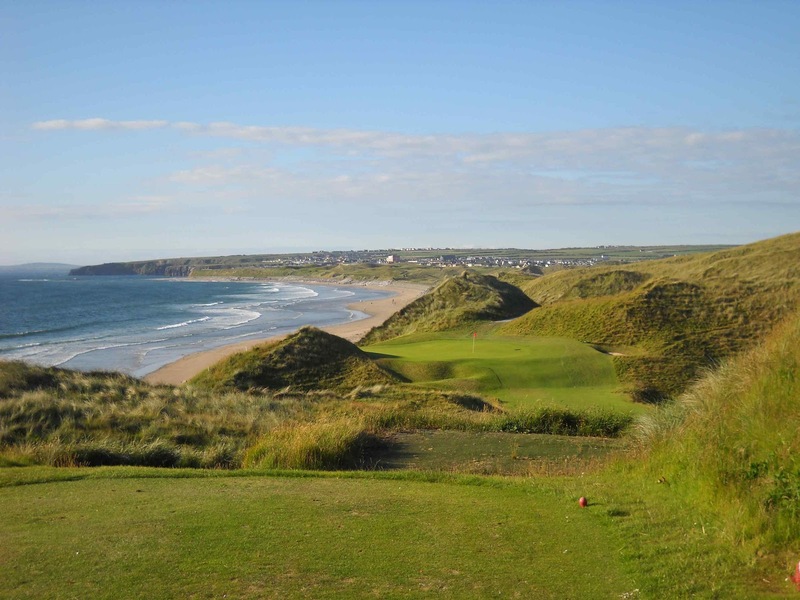 Nearby courses include Narin and Portnoo, Dunfanaghy, Rosapenna, Portsalon and Letterkenny, as well as the 9 hole at Gweedore. 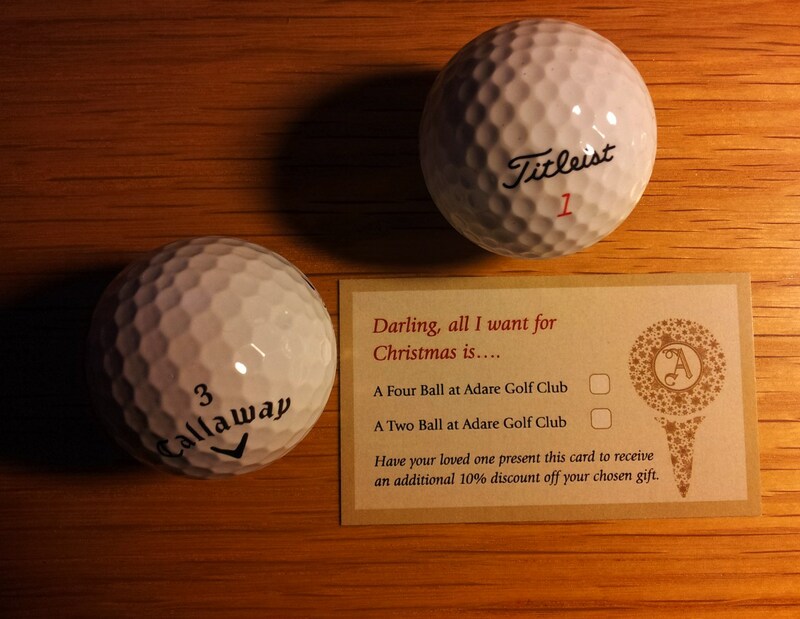 It's Christmas - apparently - so here's my first gift to you: links to some current golf prizes you can win. Golfing Weekly: The Irish golf magazine (part of Golf Digest Ireland) has a signed shirt of McIlroy's to give away. Golf Magic, a UK golf forum, constantly gives away stuff - at the moment you can win an Taylormade Ghost Spider S Putter, Titleist Winter Gear and a Golfbuddy GPS device. Golf Monthly: Ryder Cup DVDs and golf clubs. 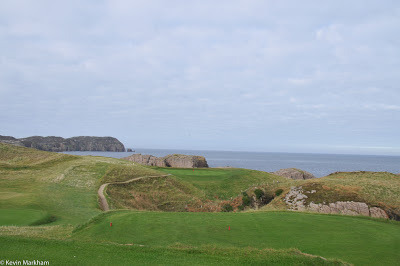 Today's Golfer: three different trips (Bulgaria, Northern Ireland, Spain) and golf clubs. This is also the same for Golf World magazine, its sister publication. Golf International Magazine: nothing at the moment... oddly. Sorry to sat that some prizes are for 'UK residents only', so you'll need to consider that, or give the address of a friend/relative in the UK. You should also visit different golf club websites as they often have free fourball giveaways every month, e.g. Headfort and Dromoland Castle. And remember, a golf prize is for life, not just for Christmas. Just Treats is clearly blooming as a business. 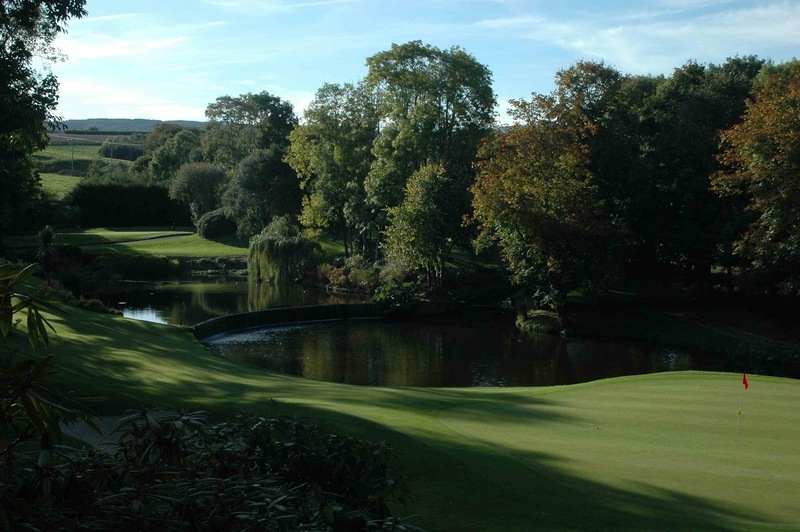 The quality of the offers is improving month on month – check out the current half price green fee offer at Dromoland Castle – and there have been a couple of attractive prizes… December is no different with a special Druid’s Glen giveaway, worth €200. 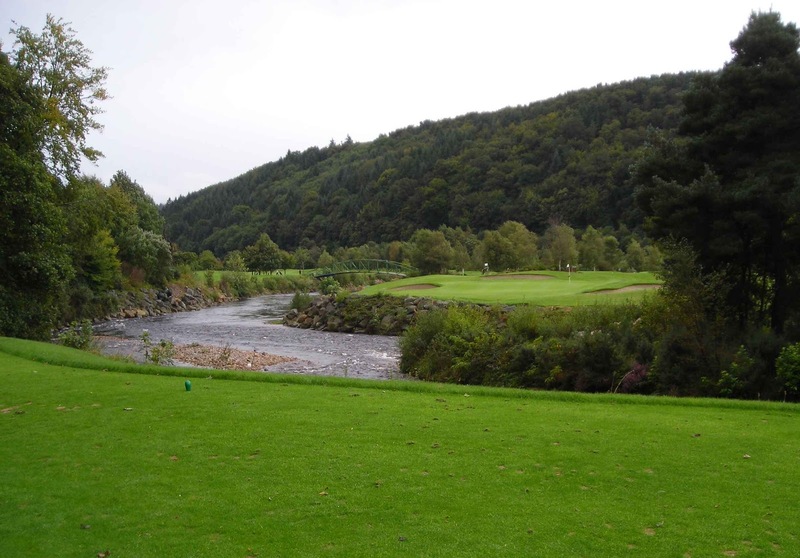 Golf - 2 Green Fees for the Druid’s Glen (or 2 Spa Treatments for non golfers), valid Mon-Sun. Dinner for 2 in Druid’s Brasserie. Entries close on 11/12/12. There is no indication of when the prize must be redeemed by. Druid’s Glen needs no introduction, certainly not by me. I love the place. I've entered, along with over 500 people... so far. ENTER HERE - it's free. Have you ever been to a craft fair? You know, the ones in hotels, shopping centres, schools? Lots of women wandering around looking at locally crafted jewellery, handbags, beauty products, pottery, hats and all that stuff. Ever notice the husband? The guy who wanders around a few feet behind the wife, head bowed, lost in his own little world, clearly wishing he was anywhere else. Yea, him. Well, he's probably dreaming about golf and this is her payback for all the hours he spends on the course. He knows it, too, which is why he says so little, and spends so much time trying to identify where the fabric in the carpet comes from and wondering why so much of the fluff comes up and sticks to his shoes. He's a hard animal to distract. If you interrupt him he'll look at you like you just interrupted his swing... which you probably have. And if you bump into him he'll react angrily although he's not quite sure where he is. Well, one of those guys walked past my wife's stand last weekend, noticed the pile of Hooked books and stole one. So I have this to say to the thief: firstly, thank you for thinking that my book was worth stealing - I'm honoured; and secondly, may all your tee shots find trouble, may all your putts lip out and may all your rounds be in the 100s. That pretty much covers it. To everyone else, may all your swings be good ones. And if you want to buy a copy of Hooked, you'll find it in all good Irish book stores (as opposed to the bad ones), or you can get it from dear old Amazon (links are top right). When it comes to winter, there are two things I hate more than anything: cold hands and wet grips. My hands freeze and turn white, but there are plenty of hand-warming products out there so it's not usually a problem. Wet grips, on the other hand, are harder to manage. Wet gloves work well, but as a non-glove-wearing golfer I find they take a bit of getting used to, by which stage my score has gone south. But now there's something else to keep your grips dry: the Golf Grip Raincoat. It's small, flexible and light You slip it over the grip of any club (except the putter) when you remove it from your bag. Now you can take a few practice swings, no matter how heavy the rain, before slipping off the Raincoat when you're ready to strike your shot. Hey presto, your grip is dry. I admire anyone who can invent something - it takes an inspiration and dedication that most of us lack - so I was intrigued when I found Adam Barnett on Twitter. Know this: the Golf Grip Raincoat may look a bit odd and may become known as the golf grip condom, but it won the best new product at the PGA Merchandise Show 2011 - one of the largest golf shows in the world - so it has impressed some big people in the golf world. Watch the video at http://inventivegolf.com and see what you think. I'll be buying one because I want to see how it works, how easy and practical it is to use during a round - re. putting it on and taking it off in rainy conditions, and how much grief I get from my playing partners... golf is such a 'traditional' game after all. Change is always viewed with such suspicion. The Golf Grip Raincoat is a one-size-fits-all approach and I wish Adam the best of luck with it. The Golf Digest Ireland Top 100 annual rankings are out... let the arguments, debates and fisticuffs begin. You can look at rankings in one of two ways: ignore them as playful nonsense; or take them with a pinch of salt and go play the courses that catch your eye. They're there as a guide. As always, I have my quibbles - some big, some small - but when you have so many people involved in the ranking process it's impossible to get a consensus that everybody is happy with. 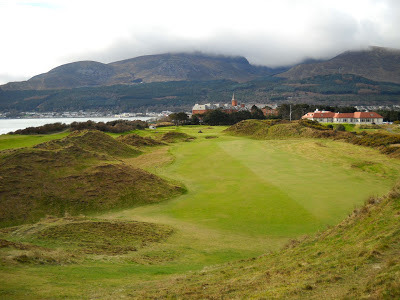 For example, if you took 100 people and asked them to rank 100 courses, 50 of them could come back and say Royal County Down (RCD) is number 1; the other 50 might put RCD at number 100. The median puts RCD at number 50... and not one person out of that 100 is happy. 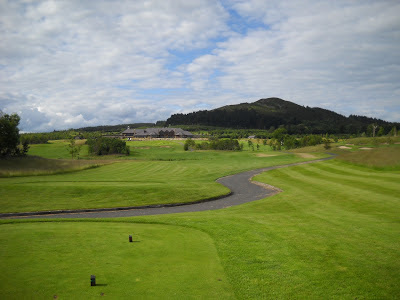 I shall not make any comments this year... other than to say Esker Hills is the highest New Entry at 82, and, as always, a few of my favourites are not on the list (Coollattin, The Curragh, Macreddin, Rathcore - all listed under 'Worthy Mentions' at the end of Golf Digest's list - and Portarlington and Scrabo). Out of the Top 100 this year are: New Forest, Moyvalley, Castleknock and Killarney Lackabane (due to closure). As I said above, any thought you have on the Golf Digest Ireland Top 100 2013, let's be having them. The Golf Promotion Night at the Burlington was an interesting affair. 66+ eager beaver golf clubs came from across the country to sell their wares, society packages and green fees. Until now, the event has been held in Belfast for the last 20 years or so, and this was the first time it was in Dublin – so naturally there was a buzz around the place. I had a long list of people/clubs I wanted to see and had given myself 90 minutes to press the flesh. Over two hours later and having only seen half the clubs/organisations I wanted I had to leave. So, apologies to Glasson, Roganstown, MyGolfTrip.co.uk, Doonbeg, Blainroe, The Island, Concra Wood, Dooks, Rosapenna, Mount Wolseley and The Curragh, among others. Prizes were excellent, with all clubs in attendance chipping in – from fourballs to a five-day membership (Lisheen Springs) – but it has to be said that the microphone system would have given a train station tannoy a run for its money. I could have won every prize and I wouldn’t have known. That said, Ally McIntosh, the golf architect won the first prize of the night. 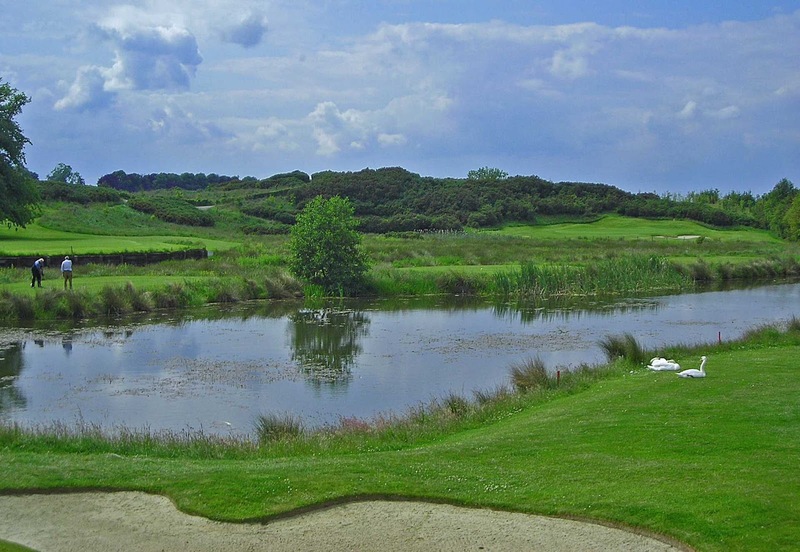 McIntosh has designed the new 9 holes at Carne, which will be opened next year. The night was aimed at societies primarily, and one early conversation I had revealed that a booking for 70 golfers was already in the offing. I hope there were plenty more, but the footfall was steady rather than spectacular. 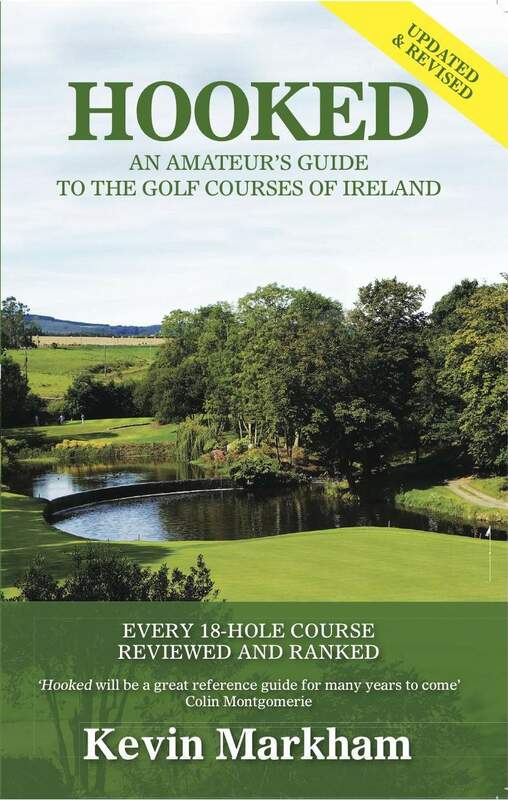 Failte Ireland’s marketing covered many bases, including letters to all golf clubs, radio advertising, press releases to the newspapers and some online advertising, as well as tying in with MyGolfSociety. I was surprised therefore by the footfall. With all those prizes and the excellent value on offer I expected the place to be teaming with people. No doubt there will be further marketing opportunities – Social Media especially – next year. Adare Society rates, including accommodation, range from €135 (1 night DB&B and golf) to €295 (2 night B&B, 1 dinner, 2 rounds of golf). Bundoran Society rates range from €25 to €30, and there are several deals with local hotels who cater to societies of all sizes. 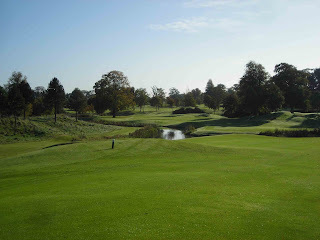 Carton House Society rates range from €50 to €70… but if you book before 31/1/13 and mention the Failte Ireland Golf Society Night Special you’ll get : a 10% discount; a fourball voucher for Carton House (groups over 20 only); and a season ticket for the Irish Open 2013. Donegal Society rates range from €40 to €50 with Main Course Dinner. Dun Laoghaire Society rates range from €25 (40 or more players) to €55. Fota Island Society rates range from €50 to €69. Glen of The Downs Society rates start range from €25 to €45. Headfort Society rates range from €20 - €40 on the Old and €20 - €45 on the New. The Heritage is offering Society’s rates from €35 to €55, although you can also enter the Open Singles Competition on Mondays, at €25 per person. The Island Society/Group rates range from €45 (over 40 players) to €105 (for small groups peak season). The K Club Smurfit course has a special Christmas Week (26-31 Dec) offer, with a 2 ball at €60, 3 ball at €80 and 4 ball at €100. Their Society rates range from €40 (full Irish breakfast included) to €50. Mount Juliet Society rates start from €60, with a free overnight stay for two for the group organiser. 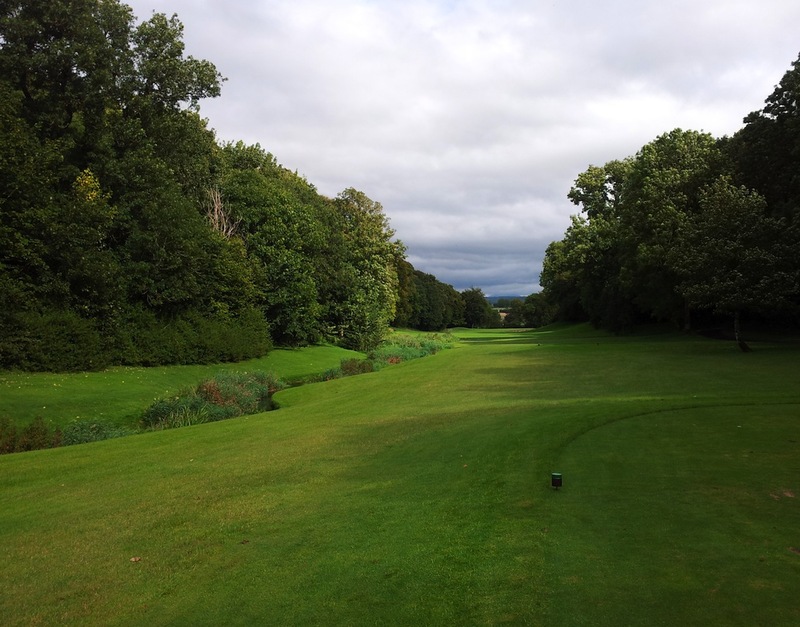 Mullingar will be hosting an Open Singles Competition every Friday between March and October, 2013, for €20. Society offerings start at €30, rising to €60 (w/e with steak diner). 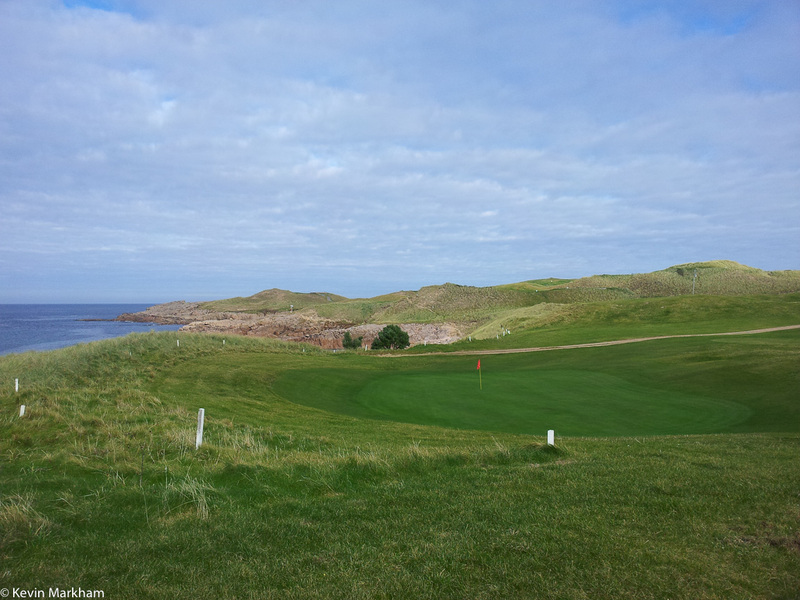 St Helen’s Bay Society rates start at €29 for golf and a meal. Waterford Castle rates for Societies range from €25 to €45 (includes all day breakfast). Golf Graffix were also there, showing off their new golf simulator. And a beauty it is too, partly because of its minimalist size, partly because it’s easy to use and partly because the graphics on the screen are excellent… and it’ll retail for approx. €400, assuming you can get your hands on one. 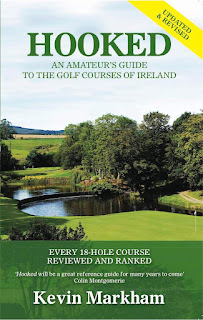 Let's hope Failte Ireland and Golf Ireland hold another Golf Promotion Night next year, and also give consideration to some Regional events which would be more likely to attract local societies.